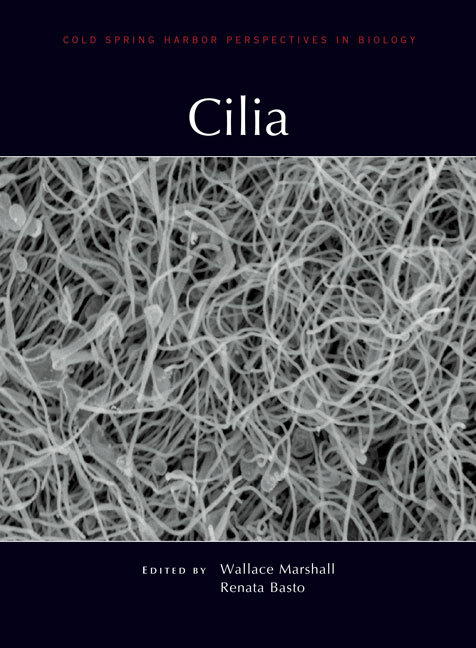 Nearly every cell in the human body has one or more protrusive structures called cilia or flagella. These power cell movement and fluid flow, sense the extracellular environment, coordinate cell signaling, and establish left-right asymmetry during development. Mutations in genes that encode cilia can lead to disorders known as ciliopathies. Written and edited by experts in the field, this collection from Cold Spring Harbor Perspectives in Biology examines key aspects of ciliary biologyfrom the molecular to the organismal levelin normal physiology and disease. The contributors dissect the complex structures of motile and nonmotile (primary) cilia, discuss how the intraflagellar transport machinery moves cargo across the central axoneme, and review how the ciliary gate controls the composition of cilia and flagella. The roles of cilia in coordinating cellular responses to environmental stimuli via cell signaling pathways (e.g., Hedgehog) are also covered, as are physiological functions in processes such as fertilization, mucociliary clearance, and vision. The authors also survey the wide spectrum of ciliopathies, describing their genetic bases, pathogenic mechanisms, and clinical manifestations. This volume is therefore an indispensable reference for all cell and developmental biologists, as well as medical geneticists and clinical scientists wishing to understand and treat disorders involving ciliary dysfunction.